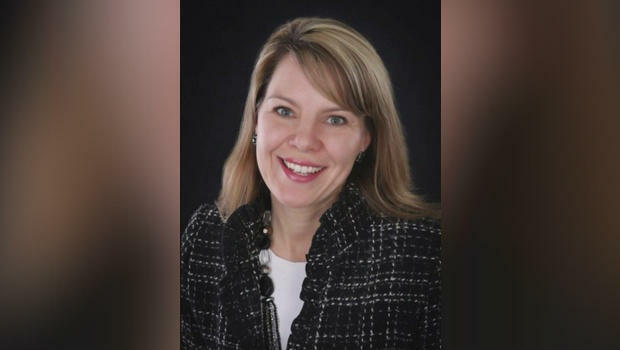 Jennifer Riordan, a 43-year-old mother of two and an executive at Wells Fargo in New Mexico, died Tuesday when a Southwest Airlines jet engine failed midflight and damaged the plane and blew out a window. The Albuquerque woman was a prominent community member, according to CBS Albuquerque affiliate KRQE-TV, and had ties to the Albuquerque International Balloon Fiesta, University of New Mexico and the local city government. Pilot of Southwest flight with blown engine praised for "nerves of steel"
KRQE-TV writes that Riordan oversaw volunteer programs in New Mexico for the last decade and was the spokesperson for Wells Fargo's hot air balloons. "On behalf of the [University of New Mexico] Alumni Association, we are deeply saddened to learn of the passing of our board member and esteemed community member Jennifer Riordan," a statement from the university said. "We are thankful for the time she served on our Board of Directors and for her accomplishments as a proud and committed UNM alumnae. Our deepest sympathies go to Jennifer's family during this difficult time. This is a true loss for our community." "The Wells Fargo family is saddened to learn of the death of our friend and colleague Jennifer Riordan -- a Community Relations leader in Albuquerque, New Mexico. She was a well-known leader who was loved and respected. We extend our deepest sympathies to her family and friends. Out of respect for the family and their privacy, we've nothing more to share at this time." A Philadelphia coroner announced Wednesday that Riordan died of blunt impact trauma of head, neck and torso in a manner that was determined to be an accident. A witness on Southwest Airlines Flight 1380, with 149 people aboard, told CBSN earlier Tuesday that he saw a window blow out on aisle 17 and that a woman was critically injured. "There was blood everywhere," Marty Martinez told CBSN's Anne-Marie Green, adding that people on the plane rushed to help the injured woman while a passenger was trying to plug the hole in the window with no success. Tuesday's airline fatality was the first one in the U.S. since 2009, according to the National Transportation Safety Board (NTSB). At a Tuesday night press conference, NTSB's chairman Robert Sumwalt said he's "very concerned" about metal fatigue in the jet engine that failed and that NTSB will focus on a missing engine fan blade. He also mentioned that somebody had found a part from the jet 70 miles north of the Philadelphia International Airport.